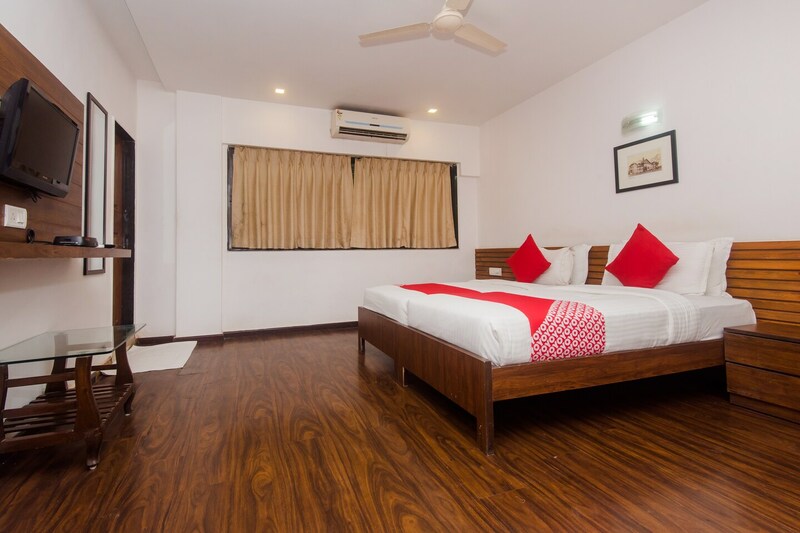 Swamini Niwas hotel have exteriors reminiscent of old-world bungalows and spacious interiors decorated in classic style, providing a relaxing stay for travellers. The rooms are designed in light tones, with small pieces of artwork and the dark wooden furnishings and floors adding a rustic appeal. The hotel offers a laundry service and has free WiFi connectivity for the guests. Card payments are accepted and there is a parking facility provided as well. There is a CCTV camera set up in place, assuring guests of utmost security during their stay. The famous Kareem's restaurant is located nearby.